a consulting company for electricity power transmission and distribution utilities and industrial companies. Since establishing in 1974, we have got more than 1600 projects for power distribution utilities, hydro power plants and industrial companies both in Norway and abroad. 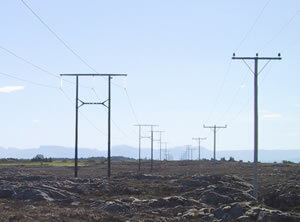 Overhead distribution and transmission lines, cable systems and switch gears. Preliminary studies and projects, cost estimates, cost-benefit analysis, financial planning. Feasibility studies and preparing of franchise applications. Agreements with landowners, expropriation. Surveying. Static calculations and engineering for structures made of steel, concrete, wood and aluminium. Quotation documents, contracts, control during the construction period, quality assurance. Power flow and stability analysis. Short circuit analysis. Analysing of existing transmission systems and equipment for optimal solutions for upgrading or repairing. Civil work engineering for special construction of wood, steel and concrete. Cable constructions, laminated wood. Turnover in 2005: approx. 9.000.000 NOK. Kokstaddalen 26, 5257 Kokstad, Norway. Approximately 2 km from Bergen Airport. The office area is 600 square meters. 8 persons with higher technical education (MSc and BSc) within electrical engineering, civil engineering, business administration, surveying and computer science. Also 1 electrical engineer, 1 soil engineer and 1 architect are hired for special projects. 2 technical assistants educated in technical drawing and surveying. Altogether these employees are educated in the areas of electric power, civil work engineering, area planning, farming and forestry, business administration and information technology. Total man-years of experience is about 150. Approved by Produkt- og Elektrisitetstilsynet (The Norwegian Product- and Electricity Control Board) for design of high voltage electricity projects. Technical / economical consulting within electric power systems, such as distribution network, transformer substations, switchyards, transmission lines, surveying and detail planning of mechanical parts within transmission lines. 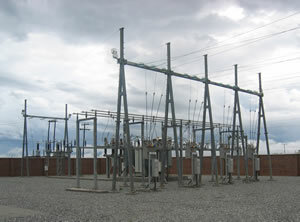 We analyse power systems, prepare energy plans and also do building construction related to power system arrangements. 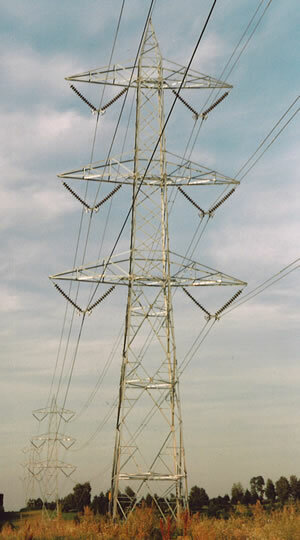 Electric utilities, power plants, contractors and industrial companies. Analysis of both technical and economical matters related to power systems. Power flow and stability analysis are necessary to obtain optimal solutions. Short circuit analysis. We also analyse the condition of existing equipment, in order to suggest possible ways of either repairing or upgrading it. Cost estimations and cash flow analysis for new as well as upgrading of old installations, both at business and public levels. Preparing applications for loans and governmental funding. Risk analysis. Detail projecting. Statical calculations on towers, foundations, lines and necessary equipment for such installations. Drawing of towers and details of mechanical parts. Specifications and quantity calculations. Preparation of building reports, crossing license applications and technical documentation. Statical calculations with advanced computer programs such as Staad III. Projecting of steel, concrete, aluminium and wood constructions based on Norwegian, Danish and British standards. Quotation documents and construction control. Preparation and evaluation of quotation documents and arranging contract meetings. We also prepare contracts and do the following up and control during the construction period. We work after the principle that the builder should get a quality assurance that agrees with ISO 9001. This counts for our duties as well as for external duties from i.e. building contractors. The goal is to assure that the final product gets a specified operating security over a certain period of time, depending on the project's social importance. Exactness due to guessing climate loads, avalanche danger, danger of trees falling on the line as well as danger of heavy snow loads. Safety of systems - damage preventing constructions. Quality of projecting and project management. Quality of materials used - logistics. Emergency plans for break down situations. Since the company was founded over 30 years ago, we have had over 1600 projects for Norwegian distribution companies and contractors. 35 of these projects are done abroad. 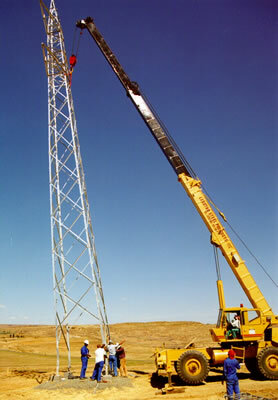 At present the company has participated in projecting about 5000 km of power lines, approx. 130 substations, 16 fjordspans with lengths of more than 2000 m, several cable projects (among others many sea cables at voltage level up to 300 kV) and two industrial building. 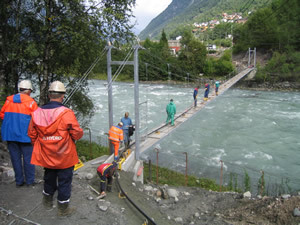 The longest fjordspan have span length 3500 m.
Highest altitude at which power lines are projected is 1700 m above sea level. The company has satisfactory amount of commissions, and the number of employees might be increased in the near future. Link to our reference list on pdf-format. Click here.